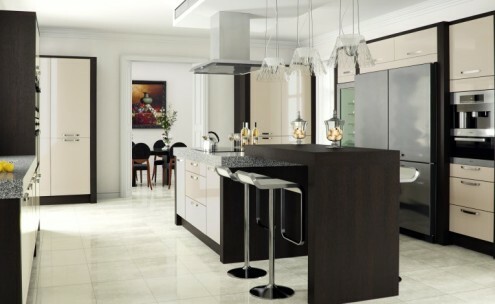 Bourne A – White carcase with white plinths and infills.Available in two options and manufactured from 18mm white melamine faced chipboard, with 15mm thick removable back panels to the majority of base units.Supplied fully assembled on adjustable legs complete with 165° opening clip hinges. Drawer boxes are metal sided, single extension with 15mm thick bases and backs. Bourne B – White carcase with factory fitted colour matched exposed gables, leading carcase edges, infills and plinths.Service ducts to base units are 65mm as standard, with a no cost option to adjust to suit site conditions* Wall units are 330mm deep as standard and supplied with 3 way adjustable hangers, 65kg loading per hanger. Option upgrade available to full extension soft close drawer boxes and soft close hinges. 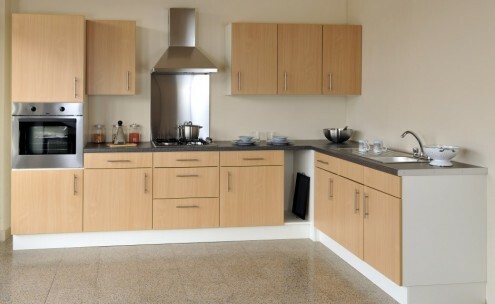 Countryways Carcase – Colour-matched carcase infills, plinths with option upgrade to soft-close drawers and doors.Manufactured from 18mm colour matched melamine faced chipboard with solid back panels. 12 colour ways available as standard. 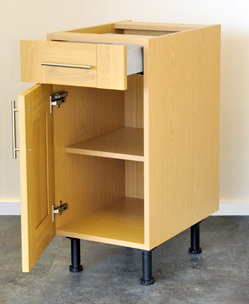 Supplied fully assembled on adjustable legs with 105° opening clip standard hinges.Standard drawer boxes are metal sided, single extension with 15mm thick base and backs. 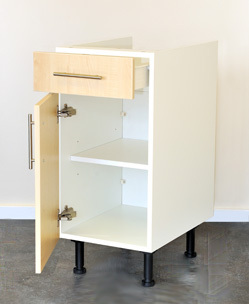 Optional upgrade available to full extension soft close drawer boxes and soft close hinges. 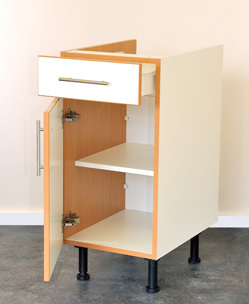 Wall units are 330mm deep as standard and supplied with 3 way adjustable hangers, 65kg loading per hanger.